If you missed #6 click here. Best Moment: I loved unlocking all the characters, and unlocking the secret characters Gon and Dr. Bosconovitch! I also loved playing Tekken Force Mode and Tekken Ball Mode! 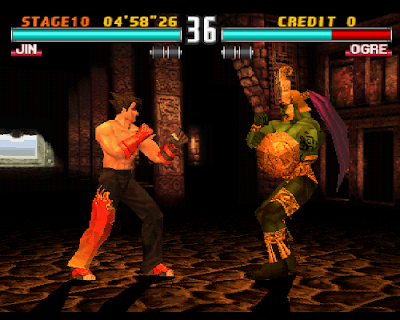 When it comes to fighting games, for me, Tekken 3 is king. We've never had a better fighting game before it, or since. I know that might be an opinion you don't agree with, but that's what I think, simple as that! Regardless of if it's the best ever or not, you can't deny the improvement Tekken 3 was over Tekken 2 and Tekken 1. It was... INSANELY better. 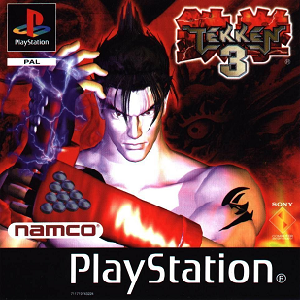 Everything came together with Tekken 3, the moves were more fluid, the combos were better, the character roster was simply exceptional, the graphics were just beautiful for back in 1998, the bonus features of Tekken Force Mode and Tekken Ball Mode were so much fun and the character endings were simply so much better, overall, than the ones given for Tekken 2. I just love Tekken 3, and sure, looking now it does look a bit dated, but at the time it was just a stunning masterpiece. No fighting game could compare, not Street Fighter, not Mortal Kombat, nothing, back in 1998 could compare. It was truly head above heels above everything that came out before it, and in my opinion, since as well. Looking for #4? Click here!